Why would you add on “just another room” to your home when you can build a year-round sunroom? Create a space you will use for time with your family, entertaining, dining or almost anything you can envision. By choosing to add more space and natural light, a new sunroom will extend the style and splendor of your home through any season. As an authorized Four Seasons Sunrooms dealer, we integrate our experience in building structures with their high-quality products such as CONSERVAGLASS SELECT™ glass with outstanding thermal resistance. CONSERVAGLASS SELECT helps reduce energy costs and creates greater comfort through temperature control. In our design process, we demonstrate how a new sunroom will work seamlessly with your home, as well an existing deck or patio before construction begins. We listen to your vision, develop the specifications and identify the materials we will use during the building process. Before we start, we combine an image of your house with a concept rendering (drawing) for your review and approval. With so many choices and features available, we are committed to helping you bring your dream to reality. 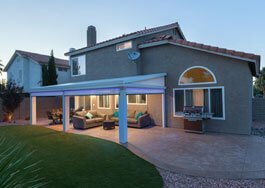 In addition to providing natural light into your home, Fitch Construction and Design Studio also specializes in outdoor living solutions. By offering open air/screened Four Seasons Life Room and composite decks by AZEK, you can enjoy your backyard through spring, summer, and fall. Are you ready to start planning? Let's take the next step. Would you like to contact Fitch to set up an appointment?